As business owners, we do a lot of take control of our day to day operations and make them as efficient as possible. We spend thousands on implementing rigorous training programs, color coding our warehouses, re-arranging assembly lines and work stations, hiring outside consultants to help eliminate waste and cut down on production times, but sometimes we forget to do the simple things. In reality, some of the biggest time saving tools are in just about every handyman and hobbyist’s garage across the country; things like steel pegboards and hanging areas, organizers for tools, etc. One of the most common, a foam tool organizer, is going to be the primary focus of this blog post. 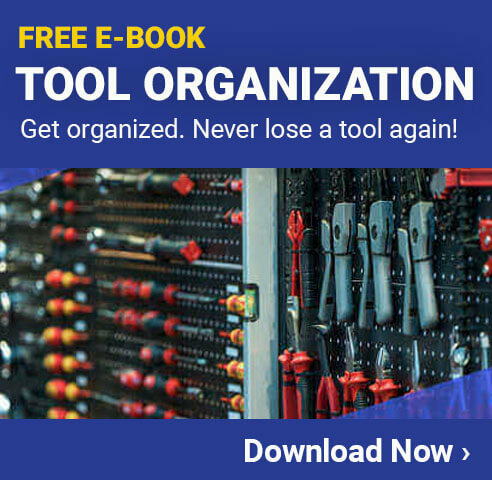 Foam tool organizers have some distinct advantages over other types of organizational systems, and certainly have a giant edge over equipment just randomly being thrown into drawers and bins. Before we get at exactly how you can make your own, let’s take a look at a few of the reasons you should be on board with this project. No doubt about it, compared to just about any other system you can purchase, a foam tool organizer is cheap. Now, you want to buy a high quality material to form the body of your organizer, and you’ll want a nice backing piece as well, but even so these expenses are minimal, giving you a lot of bang for your buck when all is said and done. During routine work days, locating and retrieving regularly needed equipment can be one of the biggest time sinks, especially when tools are shared between multiple employees (who might leave a tool in a different place than they found it, sending the next worker on an unnecessary treasure hunt). 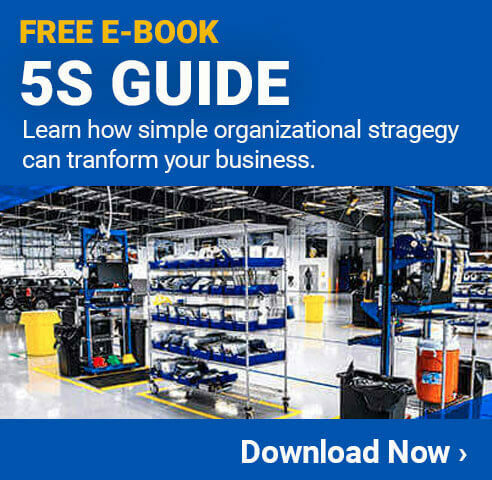 Having commonly used tools organized in a systematic way cuts down on wasted time for both you and your workforce. Another huge advantage of foam-style organizers is that they can be easily made as a do it yourself, or DIY, project. In under an hour, one can easily have a fully functional and professional looking organizer assembled without much hassle. Just to prove how easy it is, here’s a step by step guide for creating your own foam tool organizer in no time flat. Luckily, there are only a couple things you really need before getting started here. First, pick up enough foam for your project. When creating a foam tool organizer, your main considerations should be the size of the drawer or container the organizer will be lining and the amount of tools you want to fit – though you will likely need to make multiple organizers/drawers to fit all of your tools in an organized manner. Next, you will need something to use as a backing board to hold the organizer semi-rigid and give it some stability. You can use a variety of different items such as laminated paper, tag board, a piece of plastic, plexiglass, or really whatever fits your needs, budget, and availability. However, to make this job much easier custom sized foam tool organizer kits can be purchased. The kits provide 2 layers of contrasting materials, the foam organizer as well as the corresponding backing board. These kits come in custom sizes and can make creating foam tool organizers much easier and take the leg work out of finding all the pieces to create one from scratch. The next step is to get a marker or pencil, and a cutting tool, preferably an industrial hot knife. After acquiring your materials or foam tool organizer kit and ensuring your foam sheets is the right size to fit into your drawer, you’re going to want to lay out all of your tools on the foam. If you bought a foam tool organizer kit, you will need to flip the foam sheet upside down with the adhesive peel and stick backing facing up. Make sure that there is a minimum of a half inch to an inch of spacing between each tool, and that your items are laid out in an order that makes sense: Similar tools are placed next to each other, sizes go up or down in order, etc. This will help ensure that you get the most out of your organizer. Once you’re happy with your layout, take a marker/pencil and carefully trace around each tool until you have neat outlines of everything drawn on the foam. In many cases, people use utility knifes to make the cuts but these can be problematic for two reasons. First, depending on the thickness of the foam sheet you’re working with, a razor blade might not have enough length to easily cut through the entire thing. Second, a razor can sometimes leave rough edges (not to mention a mess of foam “snow” bits left behind). Ideally, you want to use an industrial hot knife, which can easily slice out the pattern you need in a clean manner. An industrial hot knife can have a number of other uses too, so it may behoove you to buy one with future projects in mind. Once you have your foam shapes cut, remove them. Not that you’ve got your foam ready to go, you need to attach it to your backing material. The foam tool organizer kits come pre-loaded with an adhesive on the back; just peel off the paper and stick your two pieces together this is also a benefit of using a foam tool organizer kit. If this is not the case, hot glue or another industrial adhesive material will work just fine. Just make sure you’re extra careful to not get the adhesive in the cutout areas – you don’t want your tools sticking! Well there you have it, your very own foam tool organizer. Just drop the piece into the drawer or onto the surface where it’s going to be used and you’re good to go! To find all of the materials needed to make a foam tool organizer, make sure to check out our foam organizers and tools to help easily complete your foam tool organizer project.